Cultural psychology and experimental existential psychology are two of the fastest-growing movements in social psychology. 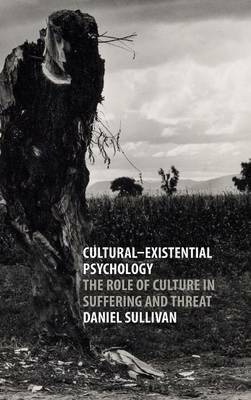 In this book, Daniel Sullivan combines both perspectives to present a groundbreaking analysis of culture's role in shaping the psychology of threat experience. The first part of the book presents a new theoretical framework guided by three central principles: that humans are in a unique existential situation because we possess symbolic consciousness and culture; that culture provides psychological protection against threatening experiences, but also helps to create them; and that interdisciplinary methods are vital to understanding the link between culture and threat. In the second part of the book, Sullivan presents a novel program of research guided by these principles. Focusing on a case study of a traditionalist group of Mennonites in the midwestern United States, Sullivan examines the relationship between religion, community, guilt, anxiety, and the experience of natural disaster.